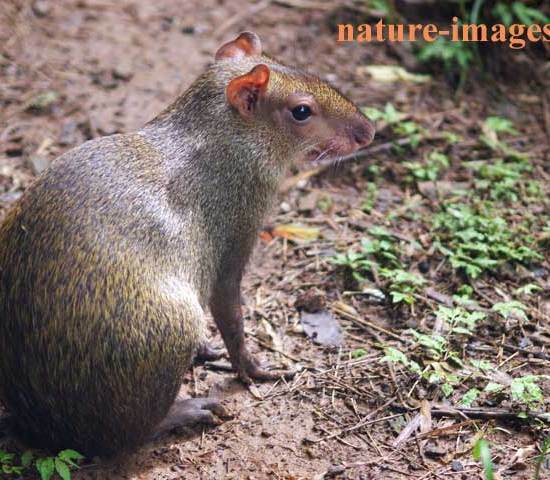 The Central American agouti (Dasyprocta punctata) is found from Chiapas and the Yucatan Peninsula (southern Mexico), through Central America, to northwestern Ecuador, Colombia and far western Venezuela. 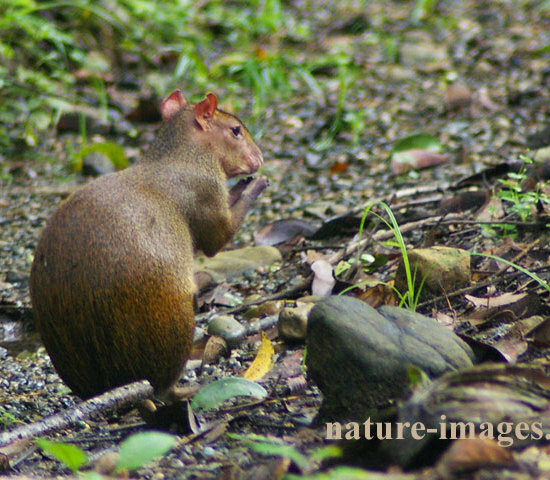 A highly disjunct population is found in southeastern Peru, far southwestern Brazil, Bolivia, western Paraguay and far northwestern Argentina. 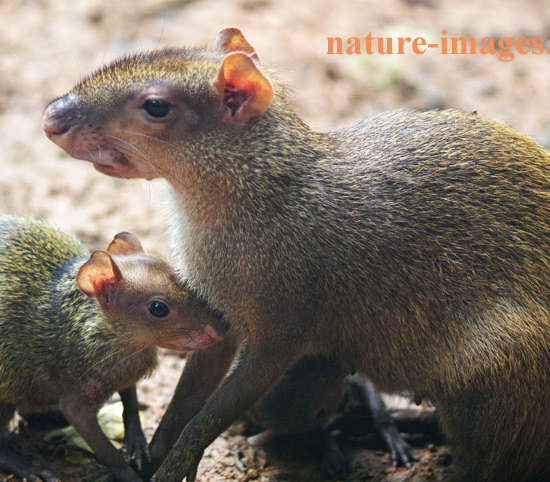 They mainly feed on fruits and seeds, and are important seed dispersers. 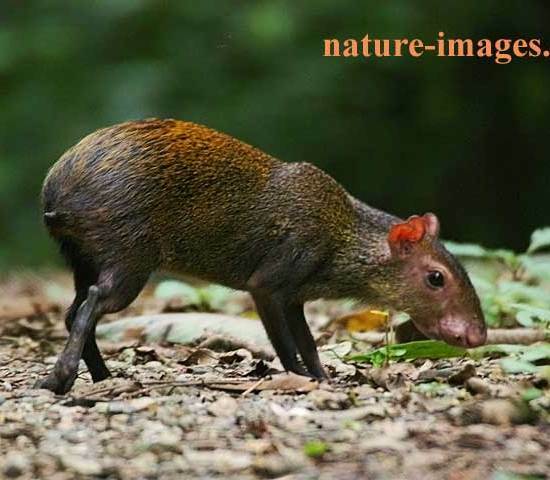 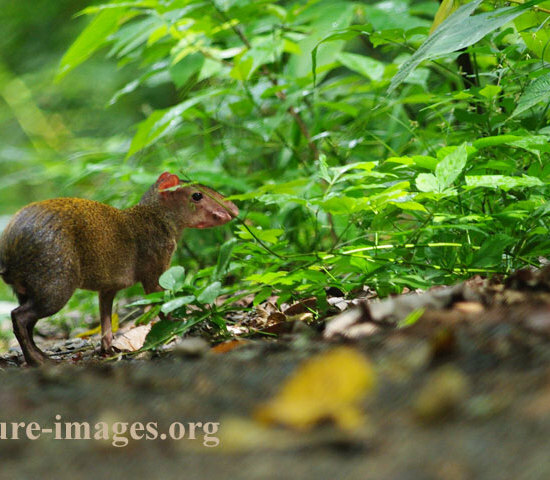 The attached Central American agouti images where taken in the Soberania National Park in Panama.